Rene Wanner’s moving collection of tributes. Above: Yasser Lamei, Iran. Via Posterpage. he’s gone. i’ve seen others, in that series of photographs, where he’s defying gravity and sticking to the wall. it is a perfectly lyrical choice of imagery. the quality about design that i find quite interesting is how these great designers live on it their work, books and words. 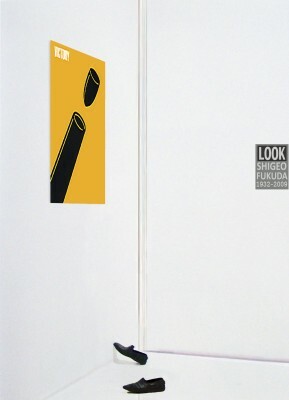 Shigeo Fukuda is a primary reason for my interest and study of Japanese design. if there is one person that would write an obituary for a graphic designer, it must be steven heller. This entry was posted by Erik Brandt on Wednesday, February 4th, 2009 at 9:16 PM	and is filed under Aktuell, Art, Color, Education, Globalization, Graphic Design, International, News Links, Photography, Typografika, Typography.